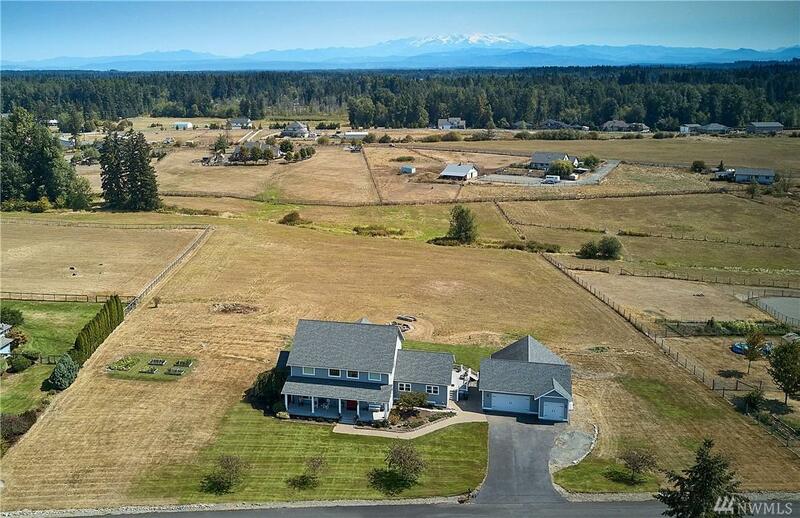 Quality Custom Home on 5 acres with Amazing Rainier View! Dramatic great room open-concept with vaulted ceilings and wall of windows to the view. Hardwood floors and custom cabinets. 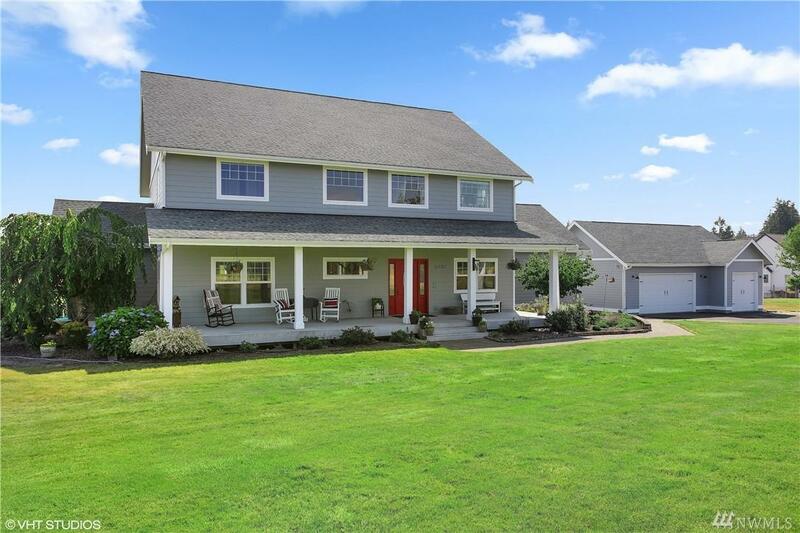 Master on main w/5pc ensuite. 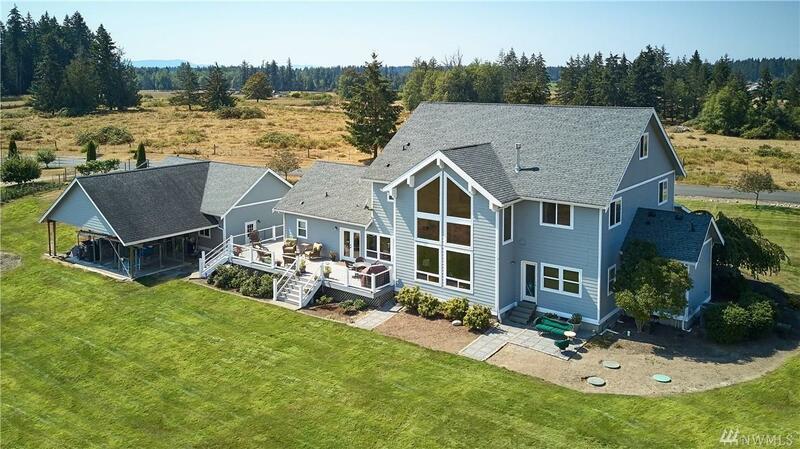 3 large bdrms up and open loft with a view. 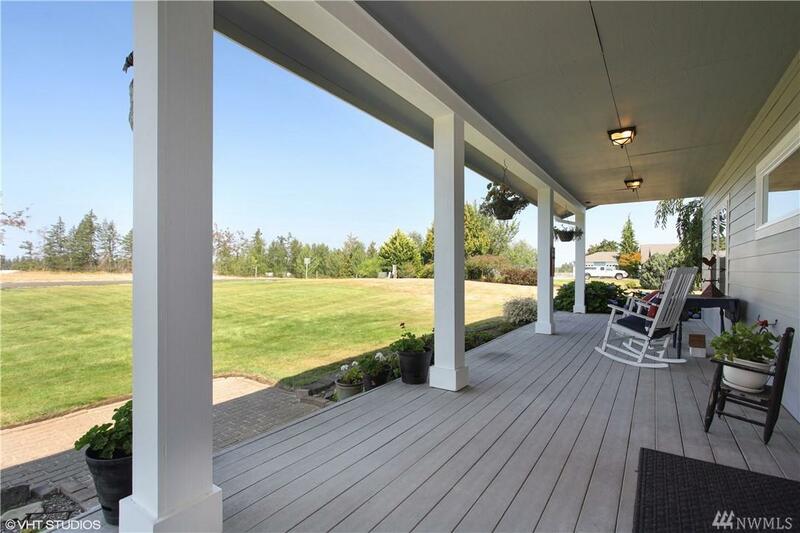 Serene 5 acre lot w/pasture, garden and landscaped yard w/sprinkler system to enjoy from the front porch. Low maint Trex-style deck. Detached garage with potential stable at back. Great equestrian potential. 50yr roof & new Milguard windows!